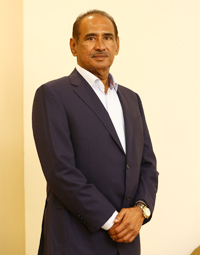 The Kaveri saga began in 1976 with the founder G.V.Bhaskar Rao a science graduate with his wife G Vanaja Devi as co-founder establishing a small seed production facility in Gatla Narsingapur village of Andhra Pradesh. In continuance of this entrepreneurial voyage, the idea sprouted as Kaveri Seeds and the company was formally incorporated in the year 1986. Currently Kaveri is one of the fastest growing seed company in India with a large network of over 15,000 distributors and dealers spread across the country. With over 883 employees and a strong product line of hybrids. The company is poised to go greater heights with its renewed focus on R&D and strong intent to invest in innovation by the management to deliver all brand promises. With one of the largest anthology of crop germplasm in the country, Kaveri’s draught and disease resistant as well as high yielding hybrid and varietal portfolio includes Cotton, Corn, Rice, Jowar, Bajra, as well as vegetable such as Tomato, Okra and gourds.